Darrin J. Violi, D.M.D. has been practicing Oral, Maxillofacial, and Implant Surgery in Shelbyville since he opened his practice in 1998. Dr. Violi is a graduate of both Centre College and The University of Louisville School of Dentistry. He then completed his Oral and Maxillofacial Surgery Residency at St. Francis Medical Center in Pittsburgh, Pennsylvania. Upon completion of his residency, Dr. Violi and his wife, Teri, searched for a community which not only needed an oral surgeon, but also would be conducive to starting and raising a family. Being that both Dr. Violi and Teri are from Kentucky, it did not take long to find Shelby County, which seemed like a perfect fit. He opened his solo Oral and Maxillofacial Surgery practice immediately after completing his residency in August, 1998. Dr. Violi is committed to Shelbyville as his Shelbyville office is his one and only office. In addition, after leasing office space for 8+ years, he recently built his own office located at 320 Boone Station Road, which opened in March, 2007. 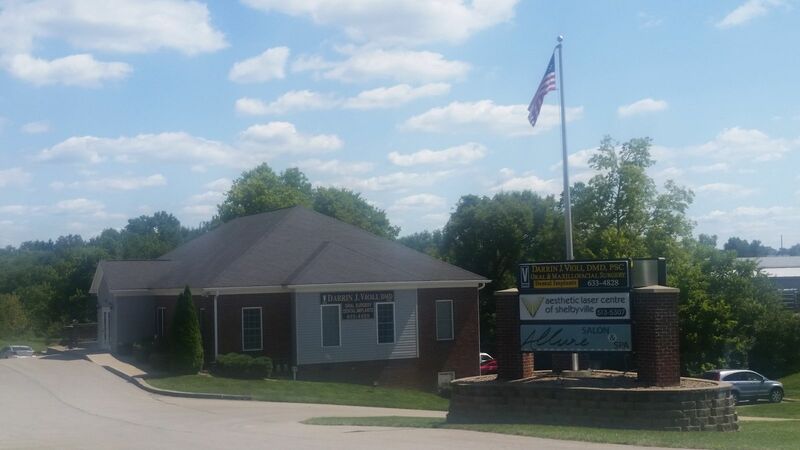 Because his office is in an ideal location, he is very happy to serve patients who reside in Shelby, Franklin, Jefferson, Henry, and Spencer Counties. Dr. Violi takes great pride in the treatment of his patients. He spends quality time with each individual patient in order to ease their minds. His practice includes, but is not limited to, simple and complex extractions, extraction of 3rd molars (wisdom teeth), dental implants to replace teeth, facial and oral biopsies, and facial/oral trauma. He is able to use several types of anesthesia such as general anesthesia, IV sedation, and nitrous oxide in order to ease the patient's anxiety. Dr. Violi sees the dental industry as constantly changing. He is most excited about the popularity of using dental implants to replace missing teeth. No longer is a bridge or a removable denture a person's onlyoption to replace a missing tooth/teeth. Now, a titanium post, which is the dental implant, can be placed directly in the bone to act as a root and a crown is later secured on that post. Dr. Violi has been placing dental implants since 1993. Dr. Violi is proud to reside Simpsonville with Teri and their three daughters, Edie (16), Klarer (16) and Lily (11) and be part of the community that supports him. He feels that it was a very wise choice to come to Shelby County back in 1998.